The title of this post assumes a great deal, but I just couldn’t pass up the chance to use the word eschatology. It makes one sound educated, properly informed, even elevated. There is a gulf fixed between what we might call mainstream Christianity (of any sort) and its more erudite sibling. Jargon is one of the outliers of erudition – and don’t think that sentence couldn’t turn around and eat itself; however, I am not talking about the basic words of doctrine, such as agape, atonement or justification. This is the lair of soteriology, creatio ex nihilo and eisegesis. You will be happy to learn that this post has pretty much nothing to do with this introduction, except so far as eschatology is concerned. 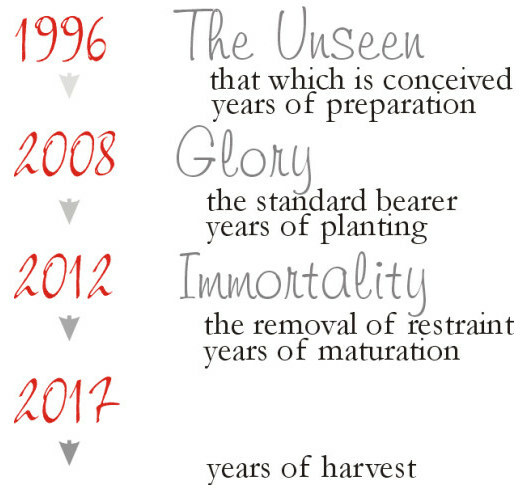 Eschatology is defined as a study of the last things. Scholars will tell you that a fully-formed eschatology is biblically/historically global in its approach, and doesn’t focus on merely one fraction of events and times. This is probably correct, but this post is going to focus on such, in what I hope to be prophetic manner. The previous post stated that this post would be an updated timeline, and so it is. What we find is that the dowry of the bride has a lot to do with maturity, more specifically, with the outcomes of maturing. Thus, the bride must walk a path that leads to maturity and, as she walks this path, the bride receives her dowry. I have used and am continuing to use yearly divisions to simplify. If you want to be a bit more precise in your dating, think late fall of the previous year; 2008 would become about November 2007. This first chart shows the major themes of our time, with the years of change. 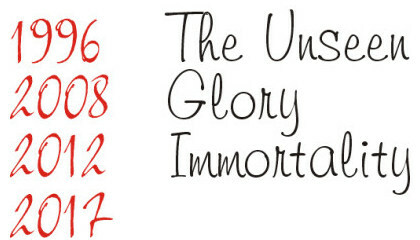 The term immortality may cause some concern. Don’t think Thor or Edward. The mortal concerns herself with things physical, the immortal with things spiritual. We’ll open this up a bit, with a look at some more data. By-the-bye, I have cut the chart at 2017, as it is no use getting too far ahead of ourselves. This next chart opens up the chords of the themes. These chords are the fulfillment of the theme. The five years from 2012 to 2017 will see the removal of restraint. It is only when restraint is removed that real maturity can be obtained. A mature man is defined by an internal restraint, not an external one. In case you are interested, I’ve included this third chart showing the names of the years. Each year, beginning with 2008, has a name, though I have only shown those of the years with new themes. One could call 2008, The Day of Enoch, with all that implies. I just hope that this post doesn’t prey on the minds of any eschatophobic readers.